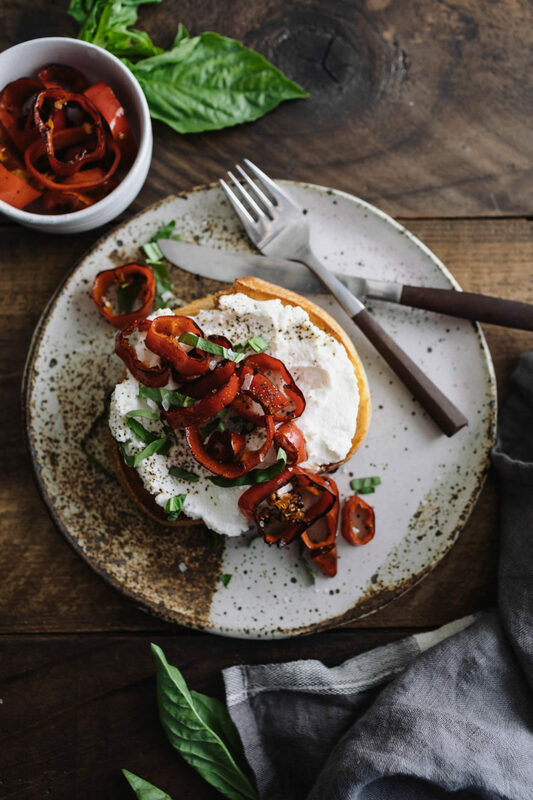 Ricotta Toast with Butter-Fried Peppers | Naturally. I’ve noticed an increase of toast offerings at local coffee shops. Avocado, vegetables, and fruit are all popular items but what caught my eye at the last coffee shop was the ricotta toast. Good ricotta is delicious (and better yet, it’s actually quite simple to make at home). Add it to toast and you have one delicious breakfast. 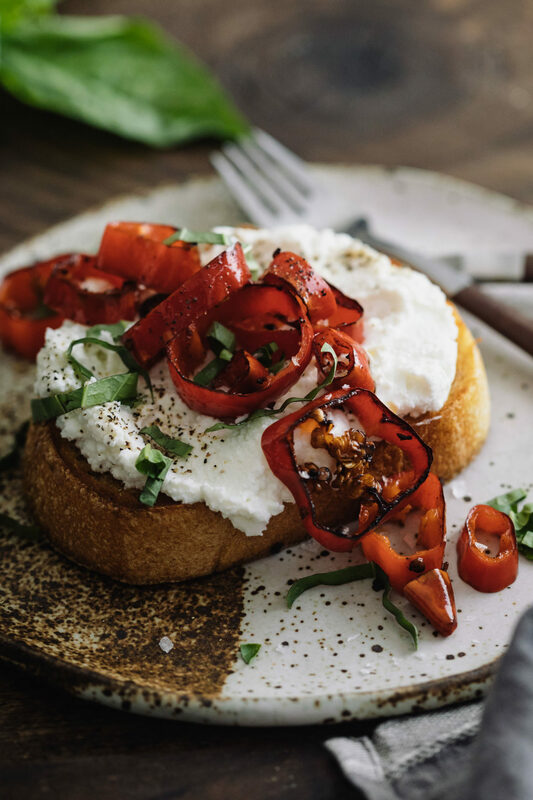 Take it sweet (peaches, pears, berries) or take it savory, like this ricotta toast with peppers. So why peppers? This time of year is the best for peppers, especially my favorite: Jimmy Nardello. Most of the non-bell varieties have amazing flavor. I’ve given two options for this recipe: tame and spicy. If you’re not a heat fan, find the Jimmy Nardello peppers (or in a pinch, bell peppers). If you like a kick, use the Fresno peppers- you won’t be disappointed. Herbs: Mix a few fresh minced herbs into the ricotta. Basil, parsley, and/or chives work well. Vegetables: Pan fry tomatoes, zucchini, sweet corn, or asparagus in the butter in place of or with the peppers. You could also add minced garlic/onions. I left garlic out of this primarily because I really wanted the flavor of the peppers to be prominent. Egg: I purposely left the egg off this toast, primarily because I wanted to give you a simple option. Don’t be fooled though, I’d almost always eat this with an egg. Peppers are one of the ingredients I always have on hand during the summer. However, they rarely take center in a recipe. I love showcasing the sweet (and occasionally spicy) flavor of the peppers along with other summer produce. 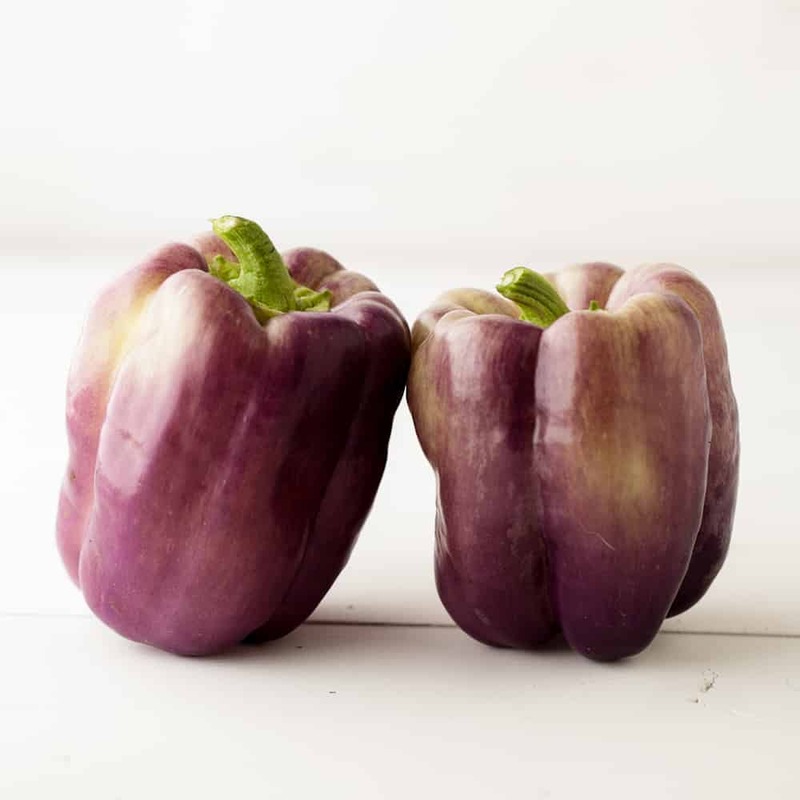 Look for different varieties of peppers at the markets- my favorite is a sweet Italian frying pepper called Jimmy Nardello peppers. 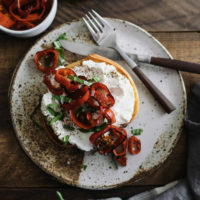 Easy ricotta toast that features spicy peppers pan-fried in butter. Perfect as is or topped with a fried egg. Melt the butter in a skillet and add the sliced peppers/salt. Cook until the peppers are soft and starting to brown. Whip the ricotta with the salt and spread on a piece of toasted bread. Top with the butter-peppers and a sprinkle of basil/black pepper/salt. Tips + Tricks: Use whatever peppers you would like (even a mix of the Jimmy Nardello and the Fresno would be great. oh yummy! this looks and sounds so tasty, will need to give it a try. I love all those flavours. Love the tomato + avo addition! It looks like the inside of the pepper was not removed…am I right? Nope- the Fresnos with seeds had a perfect amount of heat, so I left them in. You can always remove them if desired! another genius combination of ingredients, ricotta makes so much sense here but I would have never thunk it myself. so thank you and well done! What a delicious sandwich! I had never heard of Jimmy Nardelo peppers, but I found some at the grocery store that looed lie them – long thin peppers that are not hot, and used those. It was perfect! Thanks for a wonderful recipe!